The vineyard has been in the family since 1986 but it wasn’t until 2000 that they produced their first vintage under the label Adelina. Searching for a name that was feminine as well as resonating with Will’s heritage, Adelina bounded both. Spending his early years in New Zealand after finishing high school, Col found himself a vintage job in a local winery. Several forays into tertiary education and more vintages in New Zealand and the United States were followed by a PhD in Oenology at the University of Adelaide. The plan to graduate and return to the land of the long white cloud changed when Col met Jen – who was also completing her PhD in Oenology. The pair worked and travelled, ultimately returning to South Australia and taking on the role of production and management at Adelina Wines in 2003. 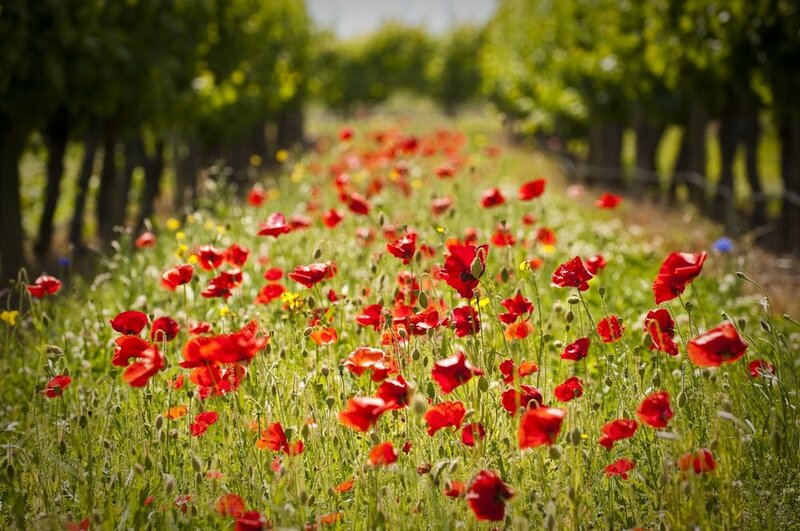 Nestled between two of Clare’s great historical sites, Wendouree and The Aberfeldy vineyard, Adelina has small plantings of well established vines, some which were planted around 1910. Growing shiraz, grenache, mataro and pedro ximenez grapes, Col and Jen use biodynamic principles to look after and preserve their vineyards. They also work with a very small group of growers in the Clare Valley and Adelaide Hills who supply fruit for their non-estate wines. Adelina’s flagship wine is its Estate Shiraz. It is grown on 100-year-old vines planted in red sand with mild clay, slate and limestone on a clay base. The single-vineyard wine is fermented and macerated, generally for an extended period of time, before maturation in oak. The winery also produces wines from the Piedmontese varieties: arneis and nebbiolo. Both of these are grown in the Adelaide Hills and the team work closely with growers to help bring a sense of the old world to the wine, but within that framework the wines still speak quite clearly of their South Australian roots. The processes at Adelina are purposely rustic in terms of mod cons and mechanisation, with the most elaborate piece of equipment on-site being the coffee machine. Each bottle is adorned with exquisite wine labels that visually represent the complexity and beauty of Adelina’s products. Pristine focus and appeal with a very fluid, long and layered palate, delivering admirably in the Adelina style of restrained power. The aromas and flavors of dark plums, blackberries and dark cherries are vibrant and engaging. There's a sense of carefully captured tension on the palate that equates to well-judged picking and vinification. Superb. BASIC VITI INFO: Vines of about 100 years old, beset red sand, mild clay, slate and limestone on a clay base. WINEMAKING: Hand picked, destemmed and lightly crushed (retaining about 50% whole berries). One ferment on skins for 22 days, the other 42 days. Pressed to neutral 700l French oak for 9 months. 1752 bottles produced. A 2 acre block of 80 year old vines planted on a grey sandy loam. hand-picked, fruit is detemmed and mildly crushed, fermentation and maceration occurs over 100 days and the wine is pressed to barrel for malo and maturation (12 months). A wine with terrific elegance and focus. This 2017 vintage grenache has considerable power and purity. A thrilling wine to taste. The style of restrained fruit and clearly expressed tannins continues in this vintage. The succulent red fruits hold long, fresh and unwavering. Best from 2022. WINEMAKING: hand-picked, fruit is detemmed and mildly crushed, fermentation and maceration occurs over 50 days and the wine is pressed to large format french oak for malo and maturation (10 months). 2,052 bottles produced. Planted in 2000 on a Grey brown loam on shale and sandy limestone. Vines are planted N-S at an elevation of 460m. WINEMAKING: hand-picked, whole-bunch pressed. Settled juice is fermented with selected yeast. Fermentation continues until dry, the wine is clarified and bottled. Hand Picked, selected yeast, 20 ~ 55 days on skins, destemmed. Post pressing the wine was racked to large format french oak (35%) and concrete tank (65%) for malo (indigenous bacteria) and maturation. 6,168 bottles produced. Fruit was hand picked, whole-bunch pressed, straight to neutral barrique for fermentation (of the indigenous kind). Post fermentation the wine sat sur lie for 8 months before being racked and bottled. An old 1970's cabernet block grafted across to an array of shiraz, grenache, mataro, ugni blanc, roussanne and carignan. This is exactly the sort of red wine that the region needs to evolve. All juicy, fresh and nimble on its feet with tangy red fruits, light tannins and immediate appeal. Great length and some spunky tension, too. Drink now. Hand-picked, fruit is de-stemmed and mildly crushed, fermentation and maceration for 11 days before being pressed to neutral French oak. Maturation time 9 months before bottling. A bright pear and bath saltsy sort of nose, smells really fresh with fennel and cucumber, as well as some flinty notes. The palate's bold, tastes of musky apple and pear, drink cold and young. Fruit was hand picked, whole-bunch pressed, split between 85% stainless inoculated fermentation and 7% neutral barrique indigenous  fermentation. Once dry the wine was stabilised and bottled. Smells floral and musky, wintry forest smells too, dried rosehip and leaves, fresh leather, fresh-ground almonds and dried red cherries. The palate's bright, juicy and has smooth, crunchy tannins, a little cola, smooth fine tannins and sweet red cherries to close. neat wine, approachable, soft and ripe. Drink now and or up to 5 years. Brian Fletcher Signature wines are crafted by hand by one of the Margaret rivers most respected winemakers. These wines are a true reflection of Brian's Natural wine making style. Nuanced with minimalistic winemaking, the fruit character at terroir shines through. Brian Fletcher has over 30 years of winemaking experience in Italy & Australia. Vibrant red purple hue, dry red with spicy chocolate flavors and a background of Oak. Soft mouth filling tannins lead to a lone and fine finish. Crushed and fermented on skins for 7 days to extract color and flavor. The fresh wine was pressed off and oak treatment applied until the wine was ready to be fined, clarified and bottled. 72% semillon, 28% Sauvignon Blanc. Aromas of citrus, guava and cut grass. This is Vibrant and fresh with zingy citrus fruit and tropical fruit. Great Depth of Flavour with persistent complexity and long finish. Cold fermented and fermented in stainless to preserve freshness. Bunkers wines takes you on a journey of adventure and discovery. We take our name from the spectacular Bunker Bay; the pristine beauty on the tip of the Cape Naturaliste peninsula in Margaret River, Western Australia. Bunkers brings together surfing and wine; two of the region’s greatest passions. 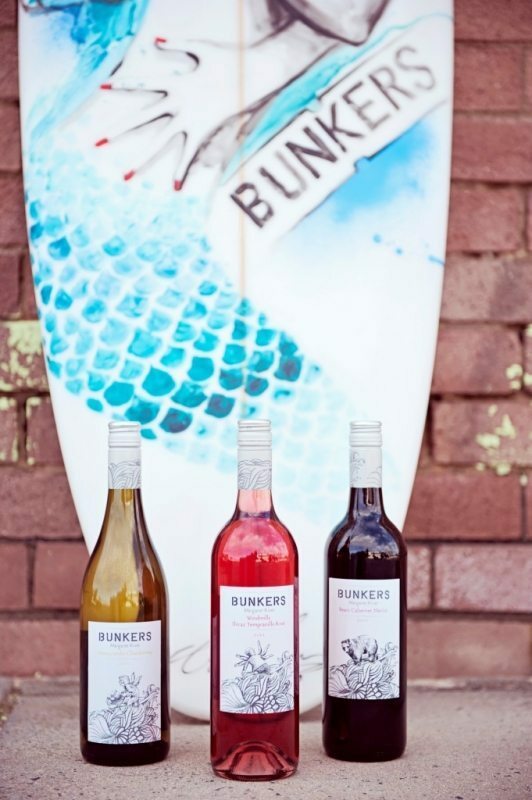 Lefthanders, Honeycombs, Supertubes, Windmills, Guillotines, Bears and The Box make up the Bunkers range –each wine is a reflection of its namesake Margaret River surf break. From a zippy SSB through to a deep, rich Tempranillo, there is something to suit every taste. These are serious wines… for not so serious people. Bunkers wines are a world away from your average bottle.Bunkers wines are interesting, yet approachable, drink now wines, that have been created to be enjoyed, and shared. Bunkers winemaking style is minimalistic, allowing the natural fruit flavour to shine through. The semillon provides a little glycerine for the engine room of gooseberry, passionfruit and spearmint. Will fuel most large gatherings. Deep purple colour with lifted, rich and ripe fruit with balanced oak flavours. Medium bodied palate with fine deep tannins and a succulent deep fruited finish. Hand-picked, 75% open-fermented, 25% fermented in American oak, matured for 12 months. Bright crimson, exceptional for its age, and points the finger at what follows. This has admirable varietal expression, with bright red berry and cherry fruits to the fore, already having sunk the American oak into its fruit swells. The substantial estate vineyards give plenty of scope in making this wine. Straightforward, melon-scented chardonnay with a lick of vanillin oak for focus and additional complexity. Some tangy acidity at the back end adds the refreshments factor. The good colour is no surprise; an estate-grown blend of MV6 (60%) and Dijon clones, with 10% whole bunches in the ferment; after 12 months in 25% new French oak, a barrel selection was made. Sings the soprano of a top vintage in a top region with vivid red cherry fruit and lingering, fine-grained tannins. Delicious, and will show even more with encores over the years. A 55/45% blend of Penfolds 58 and Mendoza clones, separately fermented in new and used French barriques, 10% mlf. Tight and focused, minerally acidity the cornerstone of the long palate. Still a foundling, still to reveal the layers of varietal fruit that will be exposed over the next 2-3 years as the latent power of the two clones make their presence felt. Hand-picked, crushed/destemmed, matured for 10 months on lees, 10% in used French puncheons. Faint pink-bronze tinge. Has an unexpected drive through to an emphatic finish; pear, spice and strawberry; Has well above average intensity and flavour spectrum. It finishes with citrussy acidity that leaves the mouth fresh. A classic Yarra Valley blend. On the nose this wine displays immense depth of flavour, with enduring notes of black berries, cassis, dark chocolate and toasty oak. The palate is smooth, round and lingering, with persistent acidity and ripe tannins. . All up, it is a most attractive juicy cassis-filled wine, the oak subtle, the tannins markedly fine and soft. This NV Blanc de Blancs has been produced Methode Traditionelle from estate grown Chardonnay fruit. The wine was aged on lees in the bottle for a minimum of period 12 months. v/v - Residual Sugar: 7.5g/L - pH: 2.95 - TA: 7.7g/L - VA: 0.31g/LJS 911987|Hand-picked 76, 95 and 96 clones | 18 months in old barrels on no Sulfur | 18 months in bottle minimal 85% of the 2016 vintage. Shows the balance from 2015 (reserve wine in barrel). Some honeyed apples and red apples with a very light and bright apple and pear nose. Strawberries, too. The palate has a very assertive and rich feel to it, as well as plenty of fresh red-fruit bomb from a warmer year. Plenty of flavor. Composed. Drink now. Daosa Natural Réserve is made following the Méthode Traditionnelle, or that which is used in the Champagne region of France. The carefully hand harvested fruit is whole-bunch pressed. This juice is then run into tanks for the primary fermentation. When primary fermentation is completed, malolactic fermentation ensues, and after around six months on lees, the wine is tiraged (bottled) with some older Réserve wines naturally aged in barrels on no Sulfur. The addition of yeast and sugar just before bottling induces the secondary fermentation in bottle (or prise de mousse). The resulting sparkling wine is aged for on average 18 months in bottle before being disgorged with the addition of a low dosage of 6-8g/L liqueur. The Dexter Vineyard is in a small east/west valley. The evening sea breezes from Port Phillip Bay, Westernport Bay and Bass Strait helps moderate the local climate. The vineyard was set out to maximise its qualities and specific site. Planted on the north facing slope, it allows for maximum sunlight interception. This is most important in cool regions as it results in even sunlight on both sides of the vine allowing for even ripening. The slope also provides good natural drainage in the wet seasons. The shallow soil helps in controlling vine growth, resulting in open vine canopies and again even ripening. The site is well protected from the cold southerly winds which is important for protection of the vines during critical stages of ripening. Growing premium fruit has always been the ultimate aim. Row spacing (2.5 metres) and vine spacing (1.5 metres) optimize the interception of sunlight by the vines and allows a good ratio of fruit weight to leaf surface area. This promotes even ripening and good balanced fruit. The first planting was one clone each of Chardonnay and Pinot Noir. Subsequent plantings have resulted in 3.54 hectares of each variety and a multitude of clones. This is all about crafting elegance and balance, length a by-product of those two elements. It stakes its case without fanfare, just stone fruit and cashew with a garland of citrussy acidity, the finish fresh. Vintage Notes: After a winter of moderate rain and temperatures the vines moved steadily to flowering some 4-5 days earlier than average. Rainfall throughout the growing season was lower than average and there were no extended heat events. The ripening period resulted in the grapes maturing smoothly to sugar and flavour ripeness. Harvest was 7-9 days earlier than the average of recent seasons, even with a larger than average crop load. In summary the season has produced ripeness early but with bright fruit flavours, nice structure and good acid balance. Winemaking: Hand-picked fruit was gently whole-bunch pressed into a tank and settled overnight. It was then transferred into French oak barriques and puncheons (26% New, 13% second use, 15% third use and 46% older) and inoculated with a neutral yeast. From May until late winter the barrels were stirred every two weeks until MLF was completed. For this vintage 40% completed MLF. The wine was left on yeast lees until November when it was transferred to tank to prepare for bottling. The wine was late Dec 2016, 8 months after harvest. Bright, clear crimson is a subterfuge for a pinot with well above average weight, intensity and length. It is spicy, it is savoury, it is complex, and it has a range of berry and plum fruit, all of it a clear expression of pinot. Winemaking: Hand-picked fruit was destemmed without crushing and elevated into small open fermenters. The must was left un-inoculated for 2-3 days and when fermentation was observed cultured yeast was added. There were no whole bunches used this vintage. Fermentation temperatures peaked at around 32°C and during fermentation the cap was plunged up to 2 times per day. 2-3 days after fermentation was complete, the must was gently pressed and transferred into French Oak bariques and puncheons (23% New, 27% second use and the remainder older) where MLF occurred before winter. The wine was racked once in the spring and put back to the same barrels for further ageing. It was bottled late December 2016, 8 months after harvest. A lighter shade to Gemtree's molten dark fruited wines, this showcases the boysenberry, violet, iodine and smoked meat side of shiraz. At 14.5%, this is a smidgeon lighter than some of the range, facilitating a welcome drinkability across a smooth mould of embedded grape and bitter chocolate oak tannins. Despite the warmth of the region, the maritime influence of McLaren Vale imbues strong varietal definition to its cabernets. This is no exception. Cassis, bouquet garni and an avuncular whiff of cigar box serve the wine's forceful dry extract well, conferring a sense of savouriness, despite the undercarriage of ripeness. Cabernet's stolid astringency and well managed oak keeps things focused. Very good value. Deeply coloured crimson; a medium-bodied shiraz that sings of its variety, place and vintage; the mouthfeel is supple, yet textured, the flavours of black cherry/berry fruits, the finish long. Great value. Drink at your leisure. Reductive out of the starting gates, this requires a good flush of air in the glass or better, the decanter. Behind the initial beam of camphor awaits kirsch, raspberry and bitter chocolate flavours. A trickle of quenching acidity and assuaging tannins keep things relatively firm in the mouth and on the straight and narrow toward a lingering finish. A preservative free, joven style as in a fresh, easy-drink and best enjoyed in its youth. It's uncomplicated and a touch reductive but soon enough reveals ripe raspberries, licorice, red cherries and pips with wafts of cherry-cola and florals. It's lighter-bodied yet plenty of raspy tannins add shape. Deep, full crimson-purple hue; a sumptuously rich wine that encapsulates everything that is best about McLaren Vale: a velvety mouthfeel; a fusion of blackberry, black cherry and dark chocolate; and - best of all - princely tannins that frame the fruit with a little bit of help from the oak. Pale-mid ruby; there's a gorgeous brightness and lightness to this and while it has plenty of zesty raspberry, wild strawberry and pomegranate fruit with a distinct wine-gum lolly character, the appeal is its drinkability and seductively so. Sweetish fruit on the lighter-bodied palate, supple, easy tannins and tangy-lemony acidity keep this lively and refreshing to the very last drop. Only 894 bottles made so be quick. Dark blue violet garnet color. Fruity aromas and flavours of ripe mulberries and purple Pez. Mineral notes with a lightly tannic, crisp, dry-yet-fruity and a warming finish. Woody tannins and moderate oak. This is Merlot with “old world” minerality. Bitter chocolate, blackberry and peppercorn flavours. Full-bodied wine. Drinkable by-the-case purchase; there’s your mid-week table wine sewn up. Bright aromas and flavors of carnation, lemon, and pineapple husk with a silky, fruity medium body and a tingling, medium-length finish with accents of nut, earth, and lime ice with soft tannins and light oak. A zesty chardonnay that will go well with spicy fish dishes. Light in profile, spicy in persona, smoky through the finish, sinewy too. The priorities here are (a) complexity and (b) length and it's stellar at both. There isn't a lot of fruit flesh but there's just enough, and there are ample other intrigues. A wine for true pinot fetishists. Hand-picked, whole bunch-pressed, wild and cultured yeast barrel fermentation with partial mlf, matured for 10 months in a French botte and puncheon. 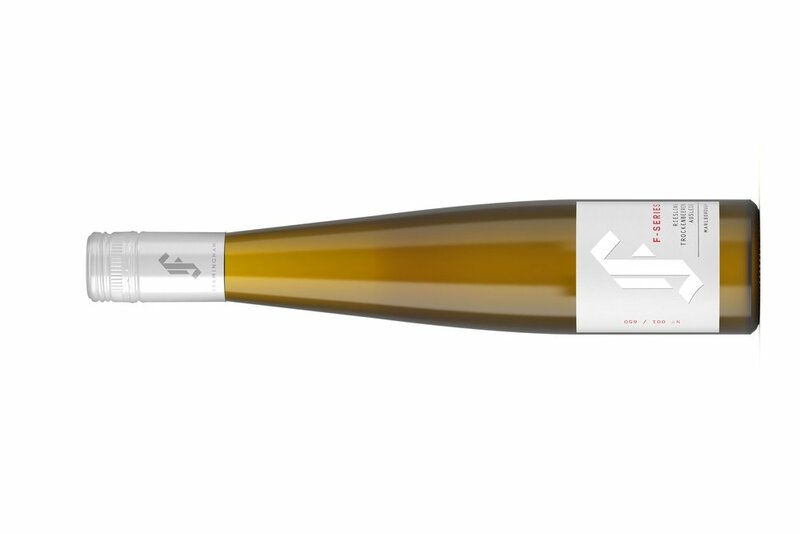 Intense and long, its mainframe Tasmanian acidity trimmed by mlf; white peach, grapefruit and melon compete for the space left by the acidity, oak framing the canvas of fruit and acid interplay. A wonderful 50/50 juxtaposition of the jubilant red berries and red apples of pinot noir and the lemon tang of chardonnay, this is a sparkling of compelling fruit expression, intricately massaged with the subtle nutty characters and finely textured mouth feel of 2 years on lees. A touch of fermentation and maturation in old oak lends a note of spice. Dosage of 11g/l neatly balances a fine line of Tasmanian acidity on a long finish. Hand-picked, 2 years on lees, minimal. Salmon colors. It rushes up to greet you with flavours/scents of strawberries dusted with icing sugar, lemon meringue pie and musk perfume. Bright, generous and engaging, the finish then much drier, and pulled along by acidity. Clearly the work of an in-form producer. Hand-picked Wild left in barrel on full lees, un-sulphured, for seven months minimal It's elegant and relatively crisp even in the face of oak-induced texture and flavour. Nose of Asparagus & Sora Mame, Gravel, wood smoke and thistle notes but at low volume; a gentle run of gooseberry; a flush of acidity. 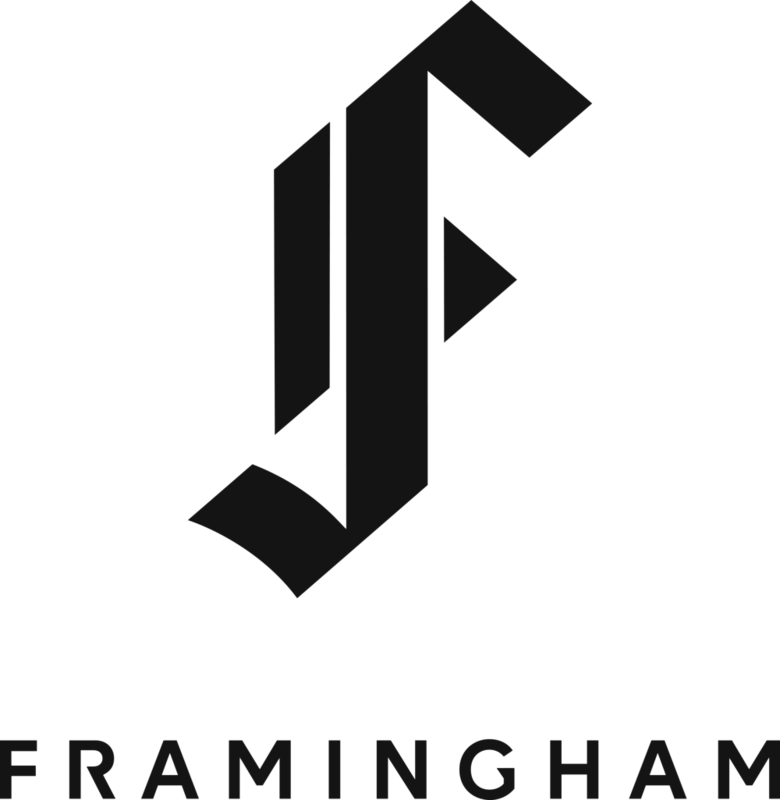 A successful example of the style. Ruby red. Tea-leaf, coffee bean, cherry ripe. A full spectrum of whole-bunch fermentation aromatics to lose yourself in. Delightful fruit plushness on the front palate gives way to age-worthy texture and length throughout. 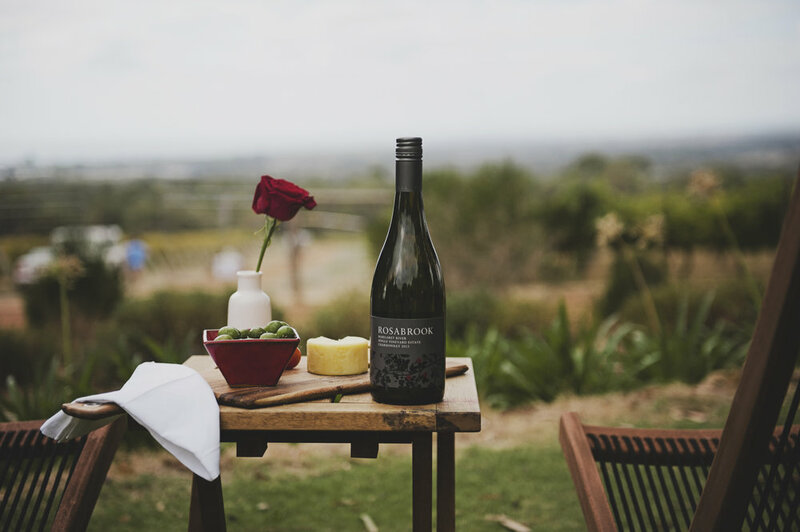 This Single Vineyard Pinot Noir comes from our Clairdown Vineyard – the oldest and most moderate of our vineyards. Fruit was selected from the D5V12 Clone (California)- the ripest and most aromatic clone in this vineyard. Vines were heavily de-leafed following veraison. Fruit was 100% whole clusters, hand selected from the vineyard based on stalk lignification. Fermentation was wild, taking place in a stainless steel vat over 7 days. Following fermentation, the wine was matured in first-class French oak barriques, 38% new. No racking during maturation. No fining. No filtration. Simon Gilbert is a 5th generation winemaker, whose great-great grandfather Joseph Gilbert is recognized as planting the first Riesling in Australia at Pewsey Vale, Eden Valley, SA in 1847. Simon commenced as a cellar hand at Leo Buring, then part of Lindeman’s, in 1973 aged 18. Lindeman’s fostered his ambition and sponsored Simon Throughout his training at Roseworthy College, where he undertook studies in Oenology. The next 10 years, until late 1984, were consumed by an enviable grounding in winemaking, including the production of Lindeman’s Coonawarra, Pathway and Rough Hoome Coonawarra Brands. In 2010 Simon established a family boutique wine label, ‘Gilbert by Simon Gilbert’, with the simple ethos of wise winemaking with fresh appeal. 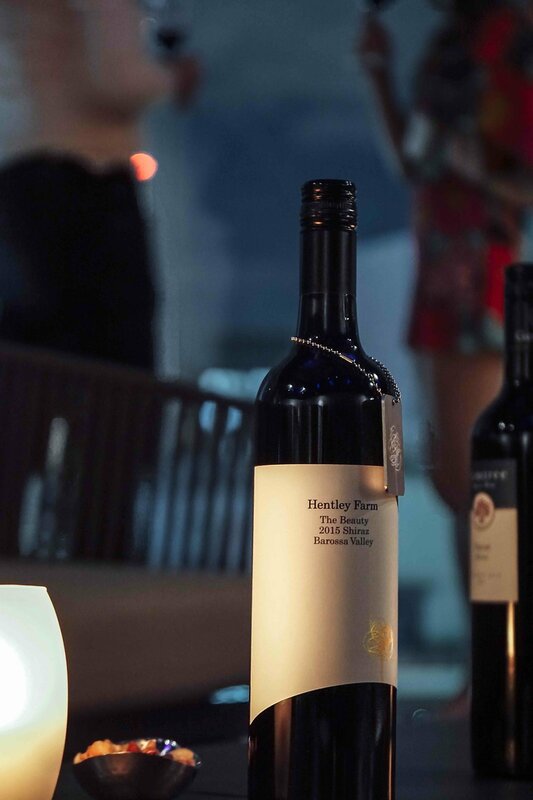 This wine label has received countless awards, reviews and medals since it was established in 2010, with James Halliday awarding the winery 5 stars in 2015. 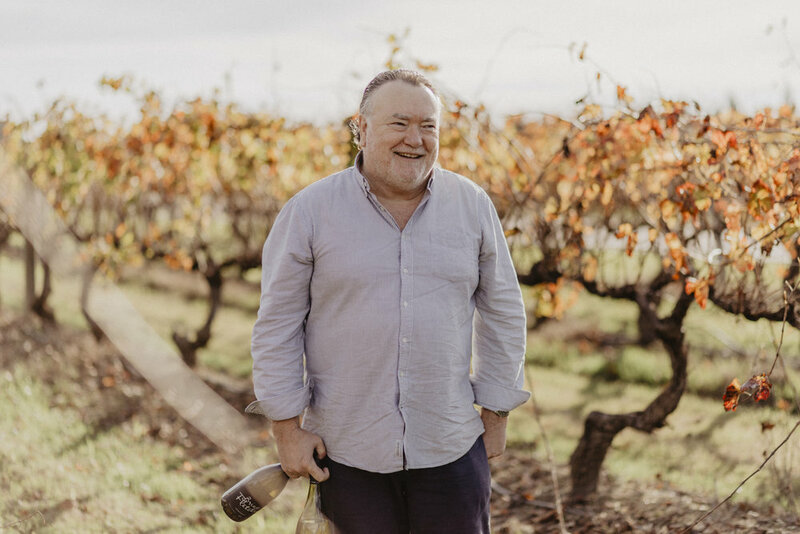 2016 saw Simon take on a new venture and come together with his son Will and nephew Mark Gilbert, as fifth and six generation winemakers and viticulturist to establish the Gilbert and Gilbert Wine Co P/L t/as ‘Gilbert + Gilbert’. This collection of wines encapsulates The Gilbert family legacy and heritage of hand crafted cool climate wines from South Australia. With a full orange copper hue, this cuvee dramatically contrasts the tension of 1000m altitude acidity with the toasty richness of bottle development. Destemmed and chilled, cool-fermented in a mix of new and used French oak and a 600l concrete egg, partial mlf, matured for 9 months. Interesting winemaking, and hence wine. It's on the light side of medium-bodied so a dose of new oak wouldn't have worked. The small batch handling, various fermentation vessels and 3 months lees stirring all add up. Bordeaux clone, small batches destemmed and chilled, pressed to a new 300l French barrel for wild fermentation, the remaining juice cold-settled and inoculated with yeast then transferred to oak, 85% matured in oak, 15% in tank for 6 months. The barrel fermentation has been exemplary, introducing a tactile and flavour level that does no more than introduce a frame for the intense flavours of the palate. These are in a grapefruit/citrus group rather than tropical, giving the wine real prospects of even greater complexity over the short term. James Halliday 93 points Crisp, bright and dry; the fragrant and flowery bouquet is followed by a palate of apple and lime juice that builds progressive through its length and aftertaste, the acidity spot on. A pretty smart entry point wine, but equally does prove the old adage that you can't make silk purses out of sow's ears. The colour is good, and it is the texture of the palate that is the strong point of a medium-bodied shiraz, rather than the luscious fruit of the wines that appear as you ascend the price quality ladder. You see the attention to detail with this wine: 94% on skins for 6 days, 6% for 52 days, all picking batches kept separate, matured in used oak for 7 months. This is space age Barossa Valley grenache, showing it is possible to make great wine at 13.5% alcohol without any confection/Turkish delight characters, just a delicious flower vase collection of red fruits. Big time bargain. Classic Barossa Cabernet at its best; combining roundness and depth with a dark plummy backbone lined with refreshing acidity. A concentrated wine yet deftly supple and fluid. Silkiness and compact flavor richness combine to a long and rewarding finish.This Cabernet offers plush herbal characteristics while still exhibiting bright vibrant fruits. A very bright, assertive, textural riesling that has a lot of texture; some solids and skin contact before fermentation. This has a clear Eden Valley, lemon-and-lime, juicy nose with fragrant, sweet-smelling white flowers. The palate delivers succulent, juicy, crisp, tangy lemon-citrus flavors. Some spices here, too. Chalky, enlivening finish. Immaculately conceived and executed. Pure blackcurrant and blackberry; elements of mint and dark earth; a tail swish of cedary/chocolatey oak. It impresses all the way along the palate but the finish is quite superb. in oak. This is another shiraz with a lot of intensity in terms of the blackberries. However, there’s some fresher and spicy complexity behind it. Just-picked violets, nutmeg and herbs. Full body, round tannins and a soft, attractive finish that has a good streak of acidity to boot. A spicy cabernet showing plenty of cedar, dried thyme and sage, nutmeg and peppers across a foreground of fresh blackcurrants and undergrowth. Full-bodied and very nicely structured with firm andsturdy tannins, a driven line of acidity and a chewy finish. It's not until the wine has been fermented and pressed that the vinification changes from its siblings as the wine begins 22 months maturation in French oak (35% new). The colour is a deep crimson-purple, and the wine packs lethal power given its mid-range alcohol. The long, high quality cork should help the wine reach its plateau 15 or so years hence, as its blackcurrant fruit and autocratic tannins join with cedary French oak to bring it all home. Hand-picked, inoculated and natural yeast 8-10 days,100% destemmed new (60%) and old (40%), 22 months no sulphur generous and plump, with a mouthful of chocolate-covered coffee bean, dried cherry, blueberry and toasted rye bread details. There's plenty of persistence on the finish, where a dried sage detail emerges and the tannins firm up. Better than previously reviewed. Drink now through 2030. 1,500 cases made. This is a much fresher expression of shiraz, showing really attractive blueberries, crushed violets, fresh herbs, citrus and clay. Tightly wound and elegant, it offers a firm tannin backbone with steely acidity throughout. A tangy, mineral finish. Real beauty. Drink in 2022. Screw cap. Hand-picked, natura yeast,l 55 days old French (70%) and American (30%) 8 months, low sulphur, Bold and peppery, offering juicy plum, black licorice and black tea accents, set on a velvety frame. Shows plenty of density and intensity on the spicy finish, with a hint of sarsaparilla. Grenache, Shiraz and Zinfandel. 59% grenache, 37% shiraz and 4% zinfandel, open and closed fermenters, half 7 days on skins, 45% 40 days on skins, the zinfandel 69 days. Another fresh, vibrant blend, just tipping the medium-bodied scales, and inviting immediate/early consumption. The logistics of managing so many ferments with differing periods on skins is awesomely difficult, but pays big dividends. Drink now through 2028. 2,000 cases made. This Sauvignon Blanc captures the true essence of Marlborough. Aromas leap out of the glass in an explosion of passionfruit, grapefruit, white fleshed nectarines and notes of nettle and jalapeño pepper. The palate shows concentrated flavours of citrus, passionfruit and lemon grass. It has a nice texture with a firm backbone of juicy acidity. A sweet yet tangy array of limes and mangoes with a fresh and vibrant finish. Very focused. The nice acid cut delivers a balanced and tasty wine perfect for spicy Asians soups and of course a dessert of two. Pale cherry in hue with lifted aromas of macerated strawberries, raspberry coulis and redcurrant. Hints of red licorice, spice and the merest waft of herbs. Well poised on the palate with a nice tension between the fruit and acidity. Again red-fruit characters dominate and the wine finishes clean and refreshing. Perfect summer drinking. "The nose is fresh with firmly packed and intense aroma of strawberries and cream and a little raspberry fruit, with lifted red florals. The fruit is vibrant and mouthwatering, unfolding hints of confectionary. Dry to taste and medium-bodied, the palate has a fine and elegantly concentrated, deep, core of strawberries, and raspberries and cream, along with bright red floral notes. The palate is refreshing and vigorous with bright acidity, and a thirst-quenching, dry, fine-textured line. The wine flows with good linearity, leading to a long, mouth-wateringly dry finish of strawberries, raspberries and cherries. A wine that stands out for its superior texture and non-reliance on simple, sugary sweetness to appeal. This has ripe bosc-pear, banana and apple aromas, leading to a neatly judged palate that delivers gently crisp texture; peach, pear and honeyed apple flavor; and handy balance. James Suckling 92 points Dried-flower, chamomile and beeswax aromas with light, dried herbs on offer, too. The palate has a bright, light and crunchy feel. Some handy stone-fruit flavors build into the finish. Certainly one of the better New Zealand examples of grüner veltliner. James Suckling 91 points Quite bright, taut and smoothly textured with subtly stony nuances threaded through melon and white peaches. Hand Picked wild & selected yeast strains. The hand-picked portion was whole bunch pressed for 9 months French oak. Wine Spectator 89 points Lime skin, apple and pear flavors are round and smooth, with soft acidity pointing out the subtle details of green tea and lemongrass on the finish. Aromas of cherry, plum, cranberry, pomegranate and smoke. Flavours of plum, black cherry and red fruit compote. Rich and fleshy in the mouth with soft tannins and persistent flavour. Easy to drink on its own, or to match with food. Lamb, duck, salmon and charcuterie. An instant hit, our Pinot Gris kicks off with ripe and rich stone fruit notes, layers of baked apple, and juicy quince harmonies. The outro leaves you with a bold mouth-filling texture and a crowd-pleasing mineral finish. Enjoy with chicken, pork, vegetarian dishes and cheese. Bright aromatics; grapefruit, sweet herbs and nettle. Yellow citrus on the palate, with red capsicum and a splash of more tropical fruit. The wine is dry, but not austere. Easy to drink on its own, or to match with food. Versatile on the table; try green lipped mussels or other shellfish or Ceasar salad. As the first of our 2017 wines start to walk out the door we are excited to be sharing what will become recognised as one of our "great' vintages. Freshness, fruit weight and high expression all contribute to the balance and moreish quality of these wines. When we started to assemble these wines from their dormant winter months in large wood, we were already seduced by the pleasure and purity shared by these wines. After the shock of bottling, we have seen the wines take a little longer than normal to bounce back, possibly due to the rarely seen low alcohols (range of 8.5%-10.5%). My recommendation - jump straight in a try a couple now but also stick a bunch in the cellar. These wines will give you 30 plus years in the cellar conservatively. "Utterly delicious. Classic Strathbogie Riesling with a floral texture and a moorish finish. From a high elevation unirrigated vineyard, the vines are unrushed and once again delivered fruit of pure dimensions, stunning granite soil influence on the back palate." An off-dry and fruity white with tinned peach and apple character. Full and easy. A little skin contact and some oxidative handling here. Fermented in stainless and large oak, too. There’s a distinctive citrus edge with kumquat, lime and grapefruit. The granite soils deliver a sheer, punchy and pithy texture on the palate. The phenolics work well here. It also shows acidity and flavors of green apples and lime. Drink or hold. Screw cap. More fragrant and delicate fruit aromas with a supple, easygoing and smooth palate, which shows bright green apples and tangy fruits. Some hints of white peaches, too. Very brisk with plenty of acidity and a superb, succulent and compelling drive. Just 8.5% of alcohol. Drink or hold. Get set for one of the friskiest whites going around. It’s not an ultra-sweet riesling, but a tickle of light honey does run through its green apple crispness. Plus the light sugar coating makes the wine go down a treat. This is always an elegant expression. It shows plenty of floral. violet-like perfume with leaves, mint and redcurrants. The palate has a smooth rendering of succulent and ripe red berries, red plums and smooth, pastry-like sheets of tannins. Deceptively powerful but elegantly delivered. A blend of cabernet sauvignon, cabernet franc and petit verdot. From a 0.32ha vineyard in Gruyere, planted in '95, wild-fermented, matured for 14 months in used oak. A medium-bodied wine with clear varietal expression and no green/unripe characters at all. Cassis and black olive flavours with fine tannins. Hand Picked, wild ferment, 5% whole bunch. 11 months in old oak. 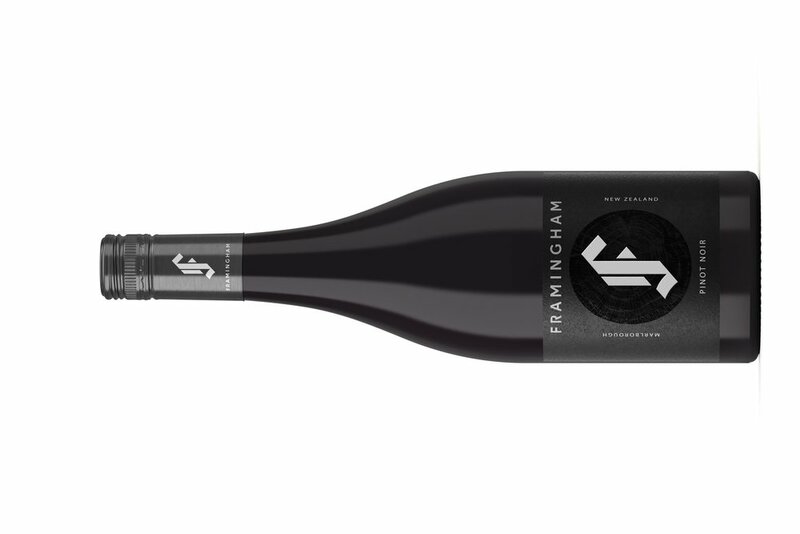 A strikingly complex and vibrant young Yarra syrah that has swirling fragrant appeal. It's really spicy and meaty though with black stony notes and red to purple fruits. Even so, lighter, more fragrant elements linger in abundance. The palate has impressive grab, really firing up bold, vibrant flavors in the red cherry, raspberry and plum zone. The tannins wrap like a glove around the finish. Brilliant, modern iteration of cooler-climate Yarra syrah. Best drinking from 2020. 1995, Hand Picked, wild ferment, MV6 10%. whole bunch, portion foot stomped 11 months in old oak. A very cool-fruited and attractive nose with notes of Asian pears, green apples and limes. Although this is carved out of minerals as much as mine, it still sports so much intensity and depth, adding to the interest of the subtle citrus fruits. Medium body, very steely acidity and a very taut finish. Drink now or hold. This has a restrained subdued stone fruit nose with gently mealy notes, as well as hints of honeysuckle. The palate is creamy and smoothly arranged, where the mix of density and restraint is compelling. There is a core of melon and white peaches, as well as some honey to close. Really pure. Drink or hold. James Suckling 92 points, Green papaya and mangoes, squeezed lemons and a hint of blossoms, as well as some dill and coriander. Medium-bodied with no shortage of zesty acidity. Finishes mineral and fresh. Drink now. Rosewater, blood orange and orange peel. Light body, pink fruits, fresh acidity and a nicely tuned finish. An elegant, pretty style. Drink now. Screw cap. ¥ 4,700 2017, 750ml, , ｵｰｶﾞﾆｯｸ Hand Picked 4 Months . An array of lemons, peaches and mangoes, all picked together and co-fermented. The palate has a terrific luscious, fleshy texture and expressive flavors, all in the spectrum of stone fruit and tropical fruit. 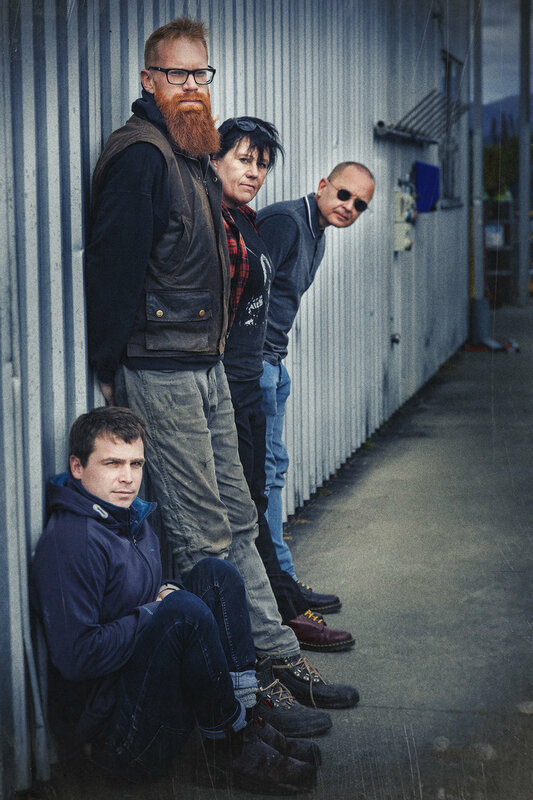 This had four months on skins, and it has come together very nicely. A blend of sauvignon blanc, semillon, muscadet and chardonnay. The Experiement being time on skins and not following any rule book. Oldest vineyard, organic, old oak only. Made from Local botanicals (mainly native), a touch of grape must and with a degree of imagination. Drink on ice. ﾔﾗｳﾞｧﾚｰ ¥2,600 2018, 750ml ｵｰｶﾞﾆｯｸ. Sometimes all you want is a refreshing thirst quenching red. ﾔﾗｳﾞｧﾚｰ ¥4,300 2017, 750ml, 12.5%, ｵｰｶﾞﾆｯｸ, Hand Picked, Named after Mac's mother. The experiment with this wine is looking at and trying to learn about the Arneis grape in the Yarra. ¥ 4,700 2015, 750ml, ｵｰｶﾞﾆｯｸ 1983, Hand Picked, Indigenous, AV702352. Orange wine wiith rosewater and cardamom aromatics. The experiment is focussed on the granite influence on tannins in the riesling grapes It has a touch of dried ginger spice too and terrific mineral under-pinning. A love of nature, growth, people and environment joined with a desire to produce the best possible from the land of which they were now caretakers. Montalto was opened to the public in January 2002. Montalto provides a genuine heartland and home for its produce, a natural and sustainable expression of horticultural production, and a welcoming, peaceful and refreshing experience for the visitor. The unique combination of wine, olives, gardens, natural wetlands and sculpture evolves from this philosophy of producing with love, for love. It is the Montalto philosophy that wine should be an expression of its origin, a representation of the best fruit produced from its site in a particular vintage. Fruit is sourced from 7 vineyards across the Mornington Peninsula, from the warmest site at Tuerong through to Merricks, Red Hill and our coolest vineyard at Main Ridge. The vineyard is planted primarily to Chardonnay, Pinot Noir and Pinot Gris, varieties which shine on the Mornington Peninsula. The balance is made up of Shiraz, Riesling, and Sauvignon Blanc. The emphasis is on producing fruit of outstanding quality. Care and attention to detail in the vineyard is paramount – hand-tended, well balanced vines, low cropping levels, no irrigation and the exploration and use of alternatives to chemical sprays all play their part in producing high quality fruit. Meticulous and considered winemaking is focussed on preserving and enhancing the characters from our site. Individual parcels of fruit, low suphurs, wild yeast fermintation and natural malolactic fermentation. In 2010, Montalto moved into a new wine-making facility, converting a former apple orchard and cool-storage facility into a 250-tonne capacity winery. It was also in 2010 that Montalto appointed Simon Black as winemaker. The new facility and new winemaker mark a new chapter in the Montalto wine journey; an opportunity for the wines to achieve their full potential. Scintillating quality, and value. This crackles with flinty, minerally character and pops with white peach-like flavour. It's balanced, it's stylish, it's elegant and it drives long through the finish. You can ask for little more. Very impressive wine with a composed, assertive and complex nose pinned to mouth-watering aromas of bright lemons and ripe peach fruits. It's a little chalky, too. The palate has a very composed, tight-knit structure with plenty of flavors in the yellow-peach and lemon spectrum. Great balance, length and detail. pH 3.54pH, TA 6.30g/L, wild fermentation. MV6, 114, 115, 677, 777, Calera, D4V2 and D5V12 Average skin contact time was 17 days. French oak barriques and puncheons (26 percent new) for natural malo-lactic fermentation. Barrel maturation was for nine months. Both clean as a whistle and chocked with savoury character. Coffee grounds, black cherries, black pepper and wood spice flavours mount an enthusiastic campaign through the entirety of the palate. Tannin is fine-grained and spice-shot. Clovey aftertaste works a treat in context. Pure excellence. Six days, French Oak Barriques (30% new) for natural malolactic fermentation and 11 months maturation. A stunning pinot for the sense of concentration, power and elegance, not to mention plenty of swagger. Bright red cherry fruits flow with purity and freshness on the nose and palate. Complexity arrives in the form of gently spicy aromas and a playfully fragrant edge on the nose, whilst the palate has effortless flow and drive, framing perfectly ripe red and darker-cherry flavors that run deep and long. At 156m above sea level, a cooler site, 84% destemmed, 7 days cold soak, wild-fermented, 6 days post-ferment maceration, 17% whole bunch carbonic maceration before destemmed and fermented on skins, matured in French oak (35% new) for 11 months. Bright, light crimson; this is one extremely complex pinot noir, with all the floral spices and highways and byways of the palate, which is equally devoted, twiggy/foresty on one side, small red fruits on the other. Its magic lies with the way the red fruits flow around the foresty notes without any apparent effort, and guide the wine through to its delicious finish and aftertaste. Sensational white wine. Extreme length, extreme purity, captivating flavours. White peach and lemon curd, custardy oak, toast, flint and ginger spice. It's tempting to call it a force to be reckoned with but it's more stylish than that phrase implies. The spiritual home of Rosabrook Wines is the Rosabrook Estate vineyard located in the hamlet of Rosa Brook some 14 kilometres from the Margaret River Township. The soils are the much favoured Forest Grove soils that consist of sandy topsoil with a high gravel content overlying clay subsoil. These soils are very free draining and can hold a reasonable amount of moisture which provides for balanced and even ripening. The vines are over 25 years old and produce intensely flavoured fruit. Rosabrook Wines produces a number of premium, classic Margaret River wine varietals and blends including Sauvignon Blanc Semillon, Chardonnay, Cabernet Sauvignon and Cabernet Merlot. Rosabrook Wines also produces Shiraz and Tempranillo which are less well known varietals for Margaret River but gaining an increasing band of followers. Full colour; a generous, plush medium-bodied wine with gently ripe cassis fruit not needing to defend its status in the pantheon of Margaret River cabernets. It pushes near to offering too much, but is promptly pulled back by earthy tannins and quality oak. Fresh and lively grass and nettle Semillon aromas with a lively yet balanced palate. The 2016 vintage was the best on record and allowed for the once off release of a 100% semillon. Drink now or cellar for 5-15 years. Musk Creek Vineyard is a mixed farming property with 11 acres established in 1994 to Pinot Gris, Pinot Noir, Chardonnay and Muscat Rouge à Petit Grains. The native timber covered valley folds down towards the sea, located only 5 kilometres away. The vineyard is North-North East and the elevation allows a view of Westernport Bay. The soil is a deep and heavy brown clay feed by springs. The vineyard has great capacity to create aromatic wines with high natural acidity. Musk Creek Vineyard requires great energy and expertise to harness the natural vigour and transform into grape quality. There are 17 acres of vineyard on our 40 acre property which homes the Quealy Winery & Cellar Door. The property slopes gently to the North, and is on a duplex soil with marginal drainage. The vineyard is the top half of the property and is planted to our 17 Rows Pinot Noir; and Pinot Grigio, Friulano, Moscato Giallo, Riesling & Chardonnay all of which go in to make our Pobblebonk field blend. The vineyard drains to a dam that is home to many wild birds, turtles, fish and yabbies. The remaining property, once an abandoned orchard has over the last 10 years begun to restore itself, smothering the blackberry with native Goodenia ovate and renewing the vegetation with a march of tea tree, blackwood and swamp gums; underneath there is an array of orchids and smaller flowering shrubs. The oldest MV6 vines on the Peninsula, planted 1982, destemmed, a small portion of whole bunches, in vat for 20 days, cultured yeast, 6 months in new French puncheons, then transferred to barriques, egg white fined. The vines are a great asset, delivering a very complex, savoury pinot that, by virtue of its provenance and its maker, simply has to respond to time in bottle. A bold pinot that has plenty of fruit flavor with bold oak, adding a little mocha and caramel to the palate with spiced red and dark cherries. Smooth, fleshy and delicious. ｵｰｶﾞﾆｯｸ, 1994, Hand Picked, Wild MV6, 114 and 115. 20% Whole Bunch, 24 days in vats, bentonite pad filter, low intervention, slight acid adjustment, minimal sulfites. Hand Picked, cultured MV6, 50% Whole Bunch, 20% new french oak for 12 months, bentonite Pad filter ,low intervention, minimal additions. Wild strawberries, cherry incense, lipstick, blood oranges and citrus. Medium-bodied with a lovely serving of red fruit throughout the palate, which is delivered across a mesh of finely woven tannins and vibrant acidity. ｵｰｶﾞﾆｯｸ, Hand Picked, Cultured, 30% Whole Bunch, 100% old oak, 15 months neutral. Bentonite Pad filter low intervention, minimal sulfar additions. Bright purple-crimson; a very fragrant bouquet leads into a fresh, zesty palate, all pointing to a Great summer pinot. ¥ 4,830, 2015, 750ml JH 92 ｵｰｶﾞﾆｯｸ 1988 Hand Picked Sangiovese, Shiraz, Pinot Noir, 24 months French oak, bentonite Pad filter, low intervention, minimal sulfar. The deep, brooding, black olive, and cherry-ripe scented nose captures the Italian inspiration of Rageous. Neither light nor full-bodied, Rageous evolves across the palate as each variety vies for attention. The unconventional set of tannins, courtesy of the blend of varieties, are youthful and grippy, yet nicely rounded off by the oak. Acidity underpins this wine, weaving through smoky red cherry and sweet raspberry fruit. Ranked 1 Pinot Grigio from Victoria. Light straw colour, with a slightly reductive bouquet including straw, hay, almond and pear aromas - with touches of honey and malt, perhaps from fermenting on solids. The wine is light and easygoing, with softness and yet also dryness and restraint. The finish is refreshing. A benchmark grigio style. Full-bodied with wild honey, noticeable musk and superb near-tropical notes this is a daring alternative to drinking a lusty Chardonnay and it will certainly provoke a lot of discussio. Modern natural wine of extended fermentation on skins, then into barrel and amphora to mature. Turbul is bottled without any clarification. Sleek creamy palate, almond milk & filled with the exotic aromatics of angelica blossom, honey, bright pepper spice, parsley root, lemon rind. Friulano is an Italian grape variety pioneered by Quealy at their winery property. They concentrate the high yield potential by setting a low crop before flowering, assuring acid rich grapes with thick burnished skins. This is winemaking in the vineyard. Friulano is served with cured meats, raw fish, creamy pasta. In contrast to Peninsula Pinots, Friulano produces a big bunch of big berries. This attribute requires strategic bud selection, shoot selection (in spring and summer) and fruit selection of wholesome berries and bunches. Handpicked on March 17th in 2015 at 11.8 Baume from Quealy’s Winery Vineyard, de-stemmed and fermented as cool whole berries. The fermentation was slow and wild over a 14-day period to extract the perfume and phenolics from the skins. The ferment was then bucketed into the basket press to drain. The ferment settled in tank for another day before racking into large format barrels where the last grams of sugar expired, and a malolactic fermentation proceeded through the winter. Bottled at the winery under cork in February 2016. The cork carries on the gentle oxidation of phenolics. The tannin in the wine due to time on skins allows the wine to be protein stable thus as in red wine no bentonite fining required. Turbul is Friuli dialect for cloudy, a name suggested by a young Friuli winemaker working with Quealy some years ago. The wine is inspired by a selection of winemakers of and around the Friuli region. It’s matching the vineyard style to the winemaking process seeking the distinctive Friulano aromatics and sleek creamy dimensions.